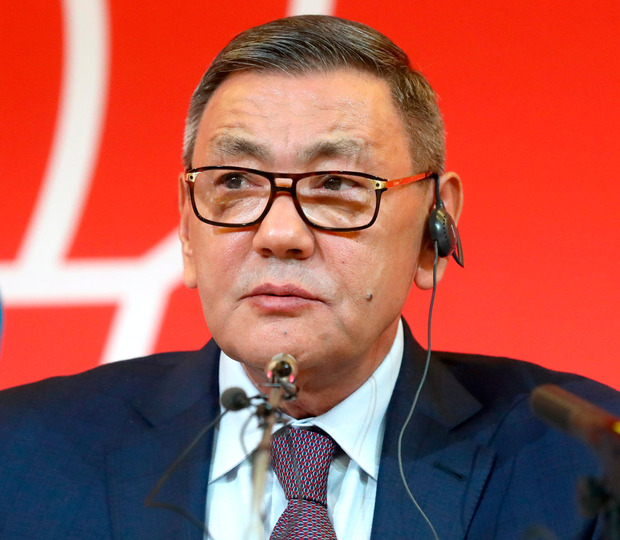 The threat to boxing's Olympic status has lifted after Gafur Rakhimov announced he is to stand down as International Boxing Association (AIBA) president after six months in charge. The Uzbek announced his intention to quit as the AIBA boss yesterday amid fears that the International Olympic Committee (IOC) would boot boxing out of the Olympics or that AIBA would be banned from organising boxing at Tokyo 2020. The IOC threatened that the sport's Olympic status was under threat because of concerns about refereeing and judging, finance, anti-doping, governance and the election of Rakhimov. However, the AIBA has made progress on refereeing and judging, finance, anti-doping and governance. Rakhimov's election was always the main IOC concern. The Uzbek has been linked to organised crime by the US Department of the Treasury. He has denied any criminality and described such allegations as politically motivated lies. "I attest and confirm that the allegations against me were fabricated and based on politically motivated lies; I trust that the truth will prevail," part of his statement released yesterday read. Rakhimov will hold an AIBA executive teleconference this weekend to initiate the process of appointing an interim president for the embattled world governing body for amateur boxing.